I was talking to my 82-year-old dad the other day about how one of my friend’s kids may have to decide whether to swim for his high school — or not. 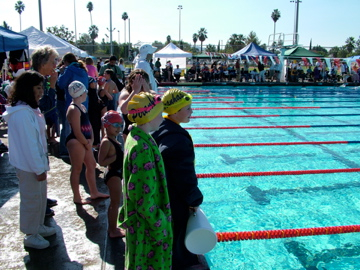 Our kids swim year-round for a USA Swimming club team. 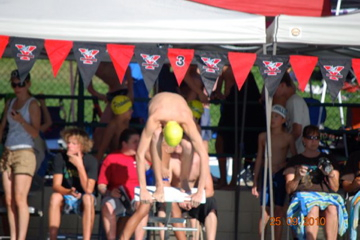 High school swimming is a fun experience that they look forward to and do in combination with their club team. Most high school coaches work hand-in-hand with the club coach — with the best interest of the swimmer in mind — but, sometimes the high school coach won’t. Wrong. It’s exactly the opposite. 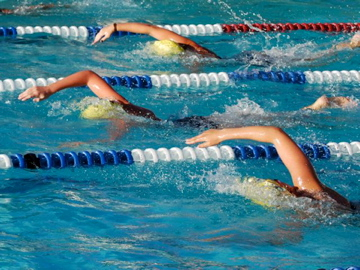 Very few high school swimmers get into college based on their high school swimming experience. USA Swimming coaches set long term goals for their athletes, with training cycles to get them to the college level. Some work with their swimmers for ten years or more. The high school program focuses on winning during the short high school season, which can be as short as 7 or 8 weeks. It is fun, it’s a great team experience, and I think it adds to the overall swimming experience. But, college coaches are looking to USA Swimming for each recruiting class. At many USA Swimming senior level meets, college coaches attend with their swimmers. Our high school-aged kids are swimming side-by-side with the college athletes. College coaches are recruiting at the USA Swimming meets, not at the high school dual meets. The only high school meets that attract college coaches are the end-of-season championships meets, like CIF. One of my friends is a club coach and has had two daughters swim for a top-ranked NCAA college team. He made the comment that only ONE swimmer in the past ten years at their University was NOT a USA Swimmer since childhood. 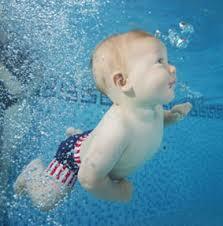 If you need to find a USA Swim team, click here. If your child’s goal is to swim in college, be sure to ask the coach how many of their kids do swim in college and what schools they go to. If you’re lucky, you’ll have a high school coach like ours — not like my friend’s — who cares about the future of their athletes, not just their high school program. Our high school coach has told me, “I would never do anything to get in the way of a swimmer’s progress.” Now, that is a good coach! Here’s a link to a new story on USA Swimming about Simone Manuel, a swimmer my daughter’s age who will swim for Stanford after high school next year. 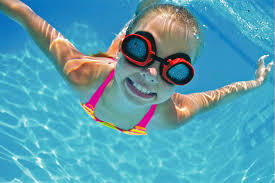 She specialized early in swimming with a USA Swim Team and she is self motivated. And she’s got talent. This entry was posted in College Applications, Graduation, Kids, Parenting, Sports Specialization, Swimming, Youth Sports and tagged coaching, collegre, high school, high school sports, parenting, swimming by bleuwater. Bookmark the permalink.